On Halloween Night alone 119 people lost their lives (2009-2013). Be bright at night – wear retroreflective tape on costumes and on treats buckets. Wear disguises that do not obstruct vision, and avoid facemasks. Instead, use nontoxic face paint. Also, watch the length of billowy costumes to help avoid tripping. Ask an adult or older child to supervise children under age 12 or those who are not mature enough to make safe decisions. Carry a flashlight containing fresh batteries, and place it face down in the treats bucket to free up one hand. Never shine flashlights into the eyes of oncoming drivers. If you are drunk, take a taxi, ride-share, call a sober friend or family member, or use public transportation. As excitement for Halloween builds, creative costumes and a bag full of goodies become top priorities, while safety often becomes an afterthought. Because excited trick-or-treaters often forget about safety, drivers, party-goers and parents must be even more alert, as the risk of being injured by moving vehicles increases greatly. 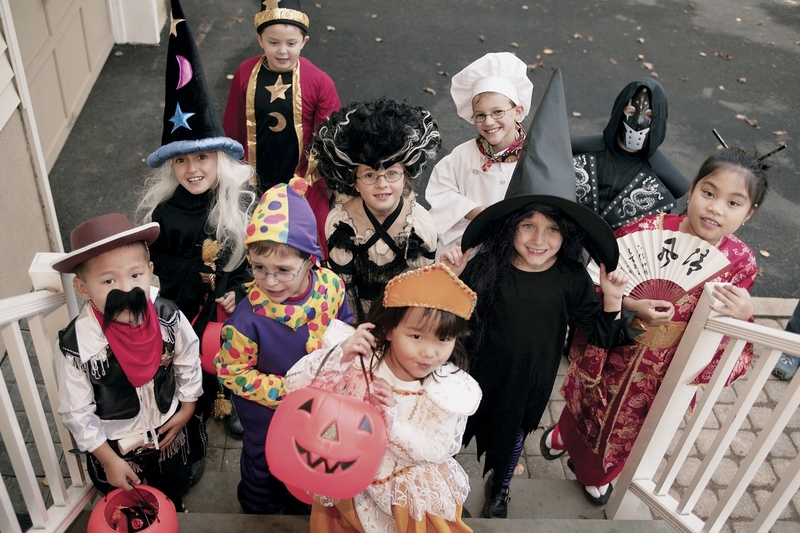 The National Highway Traffic Safety Administration (NHTSA) reports that Halloween is consistently one of the top three days for pedestrian injuries and fatalities, and the Centers for Disease Control and Prevention estimates that children are four times more likely to be struck by a motor vehicle on Halloween than any other day of the year. According to crash data provided by the Virginia Department of Motor Vehicles (DMV), last year Virginia pedestrian fatalities were up more than 50 percent compared to 2015 with the majority of pedestrian fatalities occurring in the months of October, November, March, and December. Halloween is also a statistically dangerous night for drunk driving. Although Halloween falls on a Tuesday this year, many parties will take place this weekend. Drivers must also take into consideration that some neighborhoods have scheduled trick-or-treating for this weekend as well. The combination of drinking and increased pedestrian traffic on Halloween has been a deadly combination.